Explainer: how do archaeologists discover forgotten ancient monuments? The popular image of an archaeologist is someone who spends most of their time on their knees painstakingly excavating sites. Although excavation is still one of archaeology's principal research methods, it is not without problems: it is slow, expensive and can cover only relatively small areas of a site. Most problematic of all, it destroys much of the very evidence we rely upon. In reality, archaeologists use a wide variety of other techniques to investigate both individual sites and whole landscapes. For example, aerial photography of a farmed field can reveal hidden details because crops ripen differently in areas above buried walls or ditches. Meanwhile the systematic collection of artefacts from the surface of ploughed fields can provide valuable artefactual evidence. How can archaeologists see what's underground? One suite of techniques available to archaeologists is geophysical survey (or "geofizz" to fans of the TV show Time Team). 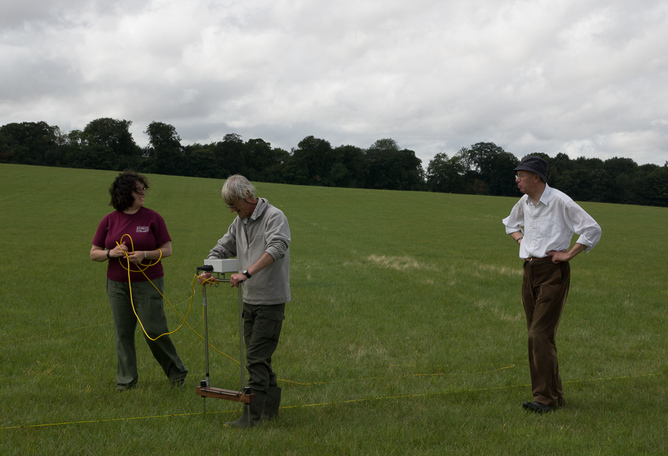 Of the many geophysical techniques that exist, archaeologists generally make use of four: magnetic gradiometry, earth resistance, ground penetrating radar (GPR) and magnetic susceptibility. Each technique measures some aspect of the ground below the surface. By taking many readings on a regular grid and plotting the results, information about the archaeological site can be gained without having to dig it up. The basic techniques were largely developed in the late 1950s–60s but their use has been revolutionised by the power of modern computing which enables us to collect and process huge amounts of data quickly, and by modern surveying techniques. High-accuracy differential GPS is able to provide coordinates accurate to about 10mm. As a result, we are now able to build towed arrays that can survey large landscapes quickly and accurately. 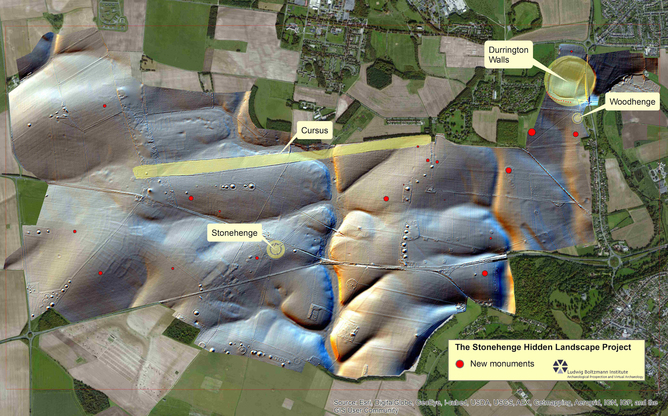 This is what recently enabled archaeologists to discover the huge line of stones at Durrington Walls near Stonehenge, revealing them to be part of the largest surviving stone monument underneath a bank ever discovered in Britain. 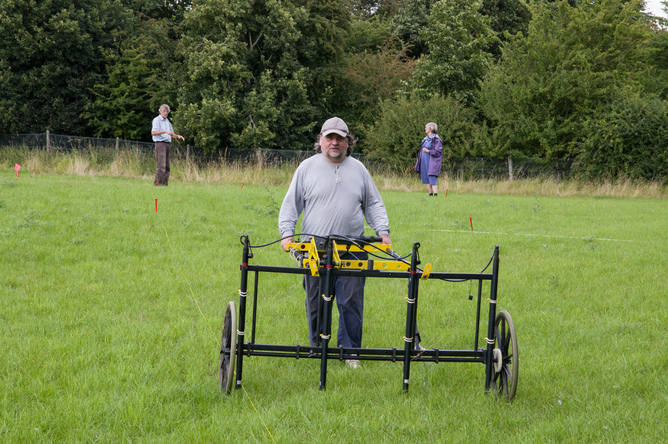 But many surveys are still conducted using hand-operated machines, and still provide exciting results such as those obtained this summer at Verulamium, Hertfordshire, by the Community Archaeology Geophysics Group. The survey has revealed rich town houses and more modest dwellings, roads, a temple and possibly even the aqueduct which supplied some of the town's water. What are the techniques they use? Magnetic gradiometry measures local variations in the Earth's magnetic field. There are two sources of magnetism of interest to archaeologists: thermoremanence and magnetic susceptibility. In the former case, weakly magnetic materials that have been subjected to intense heat become permanently magnetised due to the influence of Earth's magnetic field as they cool, and then can be more easily detected. Good examples include features such as pottery kilns. In the latter case, archaeologists can measure the magnetic response of a sample to the Earth's magnetic field. Soils and sediments in particular can be magnetically enhanced through low-temperature firing, organic fermentation and other processes. Often, negative features such as pits and ditches contain such magnetically enhanced soils and are detectable with a magnetometer. A four-sensor magnetometer in action at Verulamium. In an earth resistance survey, an electric current is passed through the ground and the resistance is measured. In order to conduct an electric current, the soil must contain water and salt. In practice, the technique allows archaeologists to measure variations in the water present in the ground. Features such as solid walls and surfaced roads will usually have low moisture content and thus a high resistance. Subsurface features that trap moisture, such as ditches and pits, will usually have low resistance, although these are less easily detected. An earth resistance survey in progress at Verulamium. GPR works by transmitting a very-high frequency radio pulse into the ground. Some of the pulse will be reflected back from surfaces of different layers of material in the ground such as wall tops or floors. By measuring the time taken for the pulse to return, it is possible to estimate the depth of the change and so of the feature. 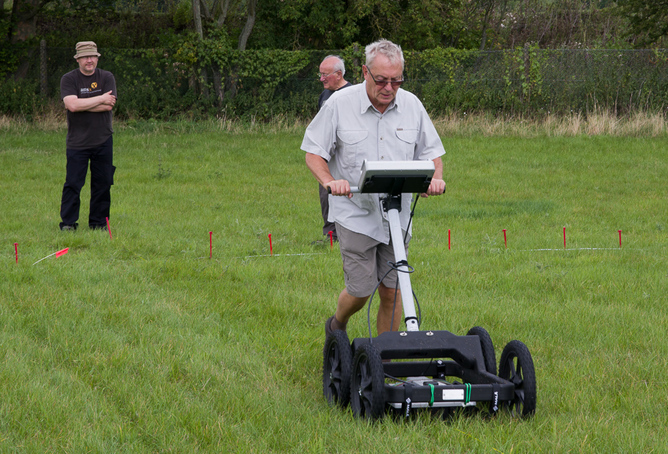 A GPR in action at Verulamium. Some of the pulse will continue deeper into the ground and be reflected by other changes. By moving the antenna across the ground surface in a linear transect, it is possible to build-up a radargram, essentially an image of the reflections along the line of the transect. By taking multiple closely spaced transects and stacking them into a cube in the software, we can create horizontal "time slices" images of the pattern of reflections at different depths. 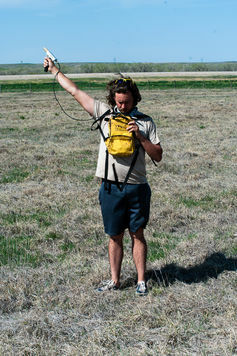 A magnetic susceptibility survey in progress at Ogallala, Nebraska. Magnetic susceptibility survey subjects a relatively small volume of soil to a magnetic field and measures the induced magnetic response. Whereas in gradiometry we rely on the Earth's magnetic field to induce the response, this type of survey actively creates the response and provides an absolute value for the soil sampled. It is useful in determining areas of magnetically enhanced soils caused by burning and intense occupation and can provide useful extra data in interpreting broad zones of land-use. If time and money allows, using multiple techniques can create an even more nuanced appraisal of the surviving archaeological deposits. For example, stone buildings may show clearly on a GPR survey whereas pits and ditches may not appear at all but be obvious in a magnetometry survey. The weakness of these techniques is that the interpretation of the results often relies on analogy with other known sites, and the techniques cannot provide secure dates. Using the results, however, enables archaeologists to accurately place their excavation trenches to answer specific questions whilst minimising the destruction of the archaeological record.